The Florida State University President’s Council on Diversity and Inclusion has announced the inaugural group of winners of the 2017-2018 Diversity and Inclusion Mini-Grant Awards, which support efforts to move FSU closer to realizing the vision of a campus community where differences and similarities are equally valued. More than 50 proposal submissions from faculty, staff and students were received for projects that advance FSU’s diversity goals, with an emphasis on enhancing the quality of teaching and learning about diversity; creating a welcoming and inclusive work and learning environment where differences are respected and valued; and improving and increasing recruitment, retention and graduation of students from historically underrepresented groups. The 10 award winners will each receive up to $1,000 in support for their project’s programming and activities. Enhancement of the Diversity and Inclusion Subject Matter Books in the Popular Literature section of Strozier Library: Books that are diverse and inclusive have been shown to help improve empathy for readers. The grant funds will be used to strengthen the collection by purchasing fiction and nonfiction materials written by and about underrepresented groups, providing more diverse and inclusive books to the students. Nobody is Forbidden is an initiative designed to address the intersection of undocumented immigrant and LGBTQ issues. The goal is to educate and promote awareness and advocacy and cultivate safe spaces for impacted students on campus. The programming will consist of a film screening of “Forbidden: Undocumented and Queer in Rural America,” a discussion panel and a Q&A session with the film’s director, Moises Serrano. The project will also include a dance forum. The Graduate Women in Science Spring Seminar Series will encourage women in the STEM fields by highlighting the contributions made by female graduate students, faculty and staff at the National High Magnetic Field Laboratory. The program will include a keynote speaker and panel presentations. Racism Awareness Week: During the second annual event in 2018, attendees will receive information about racial disparities and their effects on society and our medical community. In addition, the series will provide the opportunity for networking and community engagement through discussion. The event will include a keynote speaker and panelist activities. Cinehassee is a month-long Hispanic Film Festival — the first-ever in the city of Tallahassee — which seeks to raise awareness of Hispanic culture and current issues through films. It is held during National Hispanic Heritage Month and aims to expand its mission on the FSU campus as well as to the broader Tallahassee community and beyond. The Diversity in Motion Pictures Film Screening and Speaker Series will feature filmmakers from underrepresented backgrounds — women, minorities and members of LGBTQ constituencies — screening their work and talking about how they have developed their creative voices and career opportunities in an industry still dominated by straight, white men. The series will launch in the spring of 2018. Diversity in Sports Medicine Workshop: The FSU Sports Medicine Department will hold a workshop in July 2018 designed to promote ethnic diversity among future sports medicine professionals by exposing undergraduate students to networking opportunities, hands-on instruction, sharing of testimonials by leading industry professionals and discussion of current issues among the world of sports medicine. Activities will include guest speakers/panelists, hands-on instructional clinics, facilities tours and tremendous networking opportunities for students and professional participants. 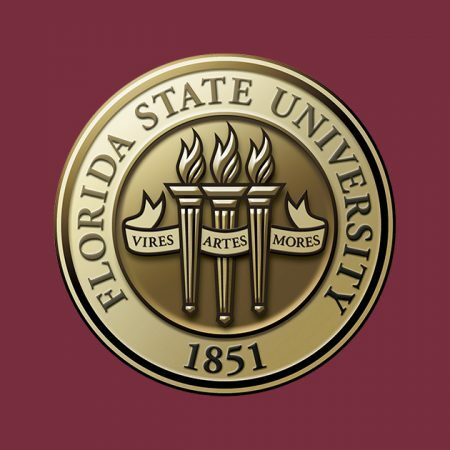 FSU Diversity & Inclusion Seminar and Workgroup Series: FSU students, faculty, staff and alumni will be invited to speak on panels about diversity and inclusion as it relates specifically to the themes of teaching and learning, and research. These two themes brought PIE (teaching and learning) and the Fellows Society (research) together to organize these events. The mini-grant will be used to purchase the seminar focus book for participants, “The Art of Effective Facilitation: Reflections from Social Justice Educators,” by Lisa M. Landreman. FSU Community Diversity and Inclusion Interstitials — Public Messaging Celebrating the Threads of Our Similarities and Differences in the Beautiful Fabric of FSU Life: This WFSU project will create 30- and 60-second video and audio segments that will air on WFSU 88.9FM, TV-PBS and 4fsu. Each message will spotlight practices FSU has adopted and inspired that enable us to create a teaching, researching and service ecosystem that reflects the diverse needs of our students, staff and faculty — infusing our entire community with respect for one another and celebrating differences. Sports Talk Series is a forum that will be hosted by the future student organization, the Foundation for Diversity & Inclusion in Sport. This organization will embrace students of diverse backgrounds seeking to further their professional and personal development within a sport-oriented environment. The forum will feature a panel discussion designed to expose students to polarizing issues in the sports world that arise each year. Its mission is to provide attendees with a greater understanding and appreciation of the issues and the surrounding circumstances that cause them.